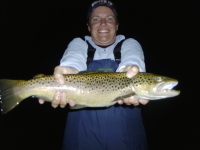 Michigan Guided Fly Fishing & Light Tackle Fishing Reports, Betsie River, Manistee River, Pere Marquette River, Muskegon River, Grand Traverse Bay. These reports are from Jon's Guide service a Michigan fishing guide service located near Traverse city in South Boardman Michigan and having remote locations in Baldwin Michigan and Newaygo Michigan, providing guided fly fishing, instruction, and schools on Michigan's "Gold Coast Rivers". 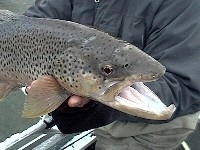 Fly Fishing reports for Salmon, Steelhead, Trout , Smallmouth bass & Carp. Jon's Guide Service offers Michigan guided fishing services and trips year round on many of the Midwest's finest "Blue Ribbon Streams & Rivers" such as the Manistee River, Pere Marquette River, Muskegon River, Betsie river, as well as Lake Michigan, Lake Huron, and Grand Traverse Bay. 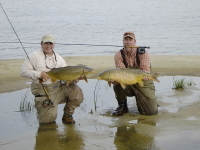 Michigan lake, River & stream based Guided Fly Fishing and Light Tackle gear fishing, Instruction, and schools offered, as well as classes on fly tying and more. Join us for a great day of "Michigan Guided Fishing." If you are interested in booking a fishing trip please feel free to call or e-mail and we will contact you about the fishing opportunities as soon as we get off the river. Northwest Michigan fishing is looking great the next couple weeks! Taking bookings for the 2017 season! 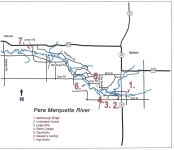 click on the highlighted rivers for more detailed reports. Below are updated fishing reports for the following rivers: Upper Manistee River (Kalkaska, MI) above Tippy Dam (CCC Bridge area), Lower Manistee River below Tippy Dam (Wellston, MI) smallmouth, salmon and steelhead water , Pere marquette river (Baldwin, MI), Muskegon River (Newaygo, MI), White River (Hespiria, MI), Little Manistee River, AuSable River (Grayling, MI), Betsie River (Benzonia, MI), Platte River (Honor, MI), Grand Traverse Bay (Traverse City, MI), Grand River (Grand Rapids, MI), Rogue river (Rockford, MI), and Flat River, as well as seasonal reports on The Black River, Pigeon River, Sturgeon River, Rapid River, Pine, and Maple rivers. Fly Choice: Dark Streamers working slow and deep, and nymphing. Trout fishing on the upper Manistee river is in full winter mode. 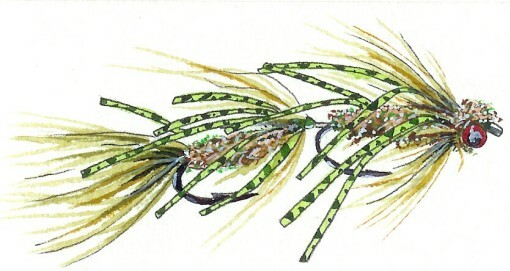 Large dark streamers working slow and deep are catching a few fish. Nymphing with larger nymphs has also produced a few nice fish. Jon's Guide Service offers Guided trout fishing year-round on the upper Manistee River located near Grayling - Kalkaska Michigan. Steelhead are sitting in slower water pools! 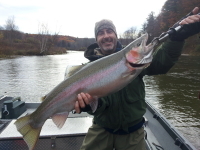 The lower Manistee has been fishing well for trout and winter steelhead. Water levels are good, but the water is also very clear. 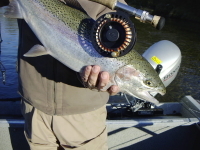 Steelhead and trout are sitting in slower runs and pools. Swinging flies, and drifting egg patterns and nymphs through these pools and runs, covering the tailouts well! 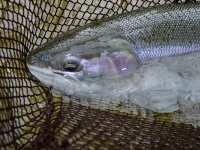 The Betsie river has a few steelhead sitting in the deeper and slow water pools and runs. Egg patterns and nymphs drited have been best. Now is the time to book a fall trip with a few prime dates left for salmon and fall steelhead. 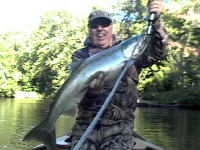 September for salmon and October and November for Fall steelhead fishing. 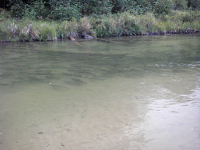 Steelhead and trout are sitting in slower water runs and pools. 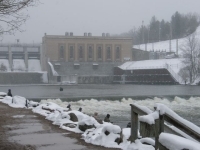 Trout and steelhead fishing on the Pere Marquette river is in full winter mode. 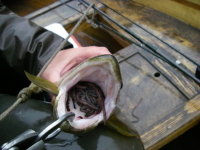 Look for fish sitting in slower water areas. Sunlight and mild temperatures will fish best. Grand Traverse Bay is a great place to look for your next fishing trip! The smallmouth fishing is fantastic, and June offers great opportunities for shallow flats style fishing for smallmouth bass and shallow water carp on a fly! Fishing reports will start again in May. Grand Traverse Bay Smallmouth Bass Fishing! 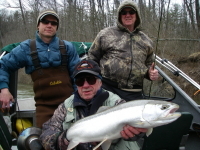 Jon's Guide Service offers fall salmon and steelhead fishing on the Pere Marquette River, as well as spring steelhead fishing and trout fishing. 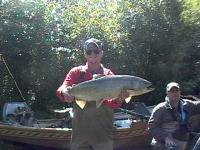 Guided Fishing year-round fishing out of Baldwin Michigan located on the banks of the famous Pere Marquette River. The Muskegon River is in winter mode. Mild days will see trout working midge hatches, steelhead picking up egg patterns and small nymph patterns, and swinging flies in the slower pools and runs. 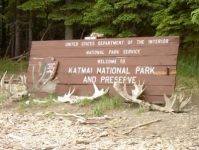 Looking for a great trip to Alaska? Only a few dates left for Spring of 2017! Looking for a great hosted salt water experience? Great opportunities for permit on a fly! 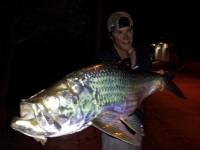 Belize is a great place to relax, enjoy the ocean, and the great fishing!! Anglers of all levels welcome!! Over 30 years in the Fly Fishing Business.